Could an Energy Drink Habit Lead to a DUI? - Crooks, Low & Connell, S.C.
Could an Energy Drink Habit Lead to a DUI? Energy drinks – Red Bull, Monster, and others – have been a part of mainstream society for decades. Today, Red Bull alone sells billions of cans every year, and it is nearly impossible to find a convenience store or grocery store drink aisle that isn’t stocked with row upon row of brightly colored energy drink cans. Researchers have long warned about the risks associated with energy drinks. Their high caffeine content can cause numerous side-effects – from tooth decay to high blood pressure – and various other ingredients have known health risks, as well. However, a recent study highlights perhaps one of the most dangerous risks linked to energy drink consumption: An increased risk for drunk driving. According to a study from the Research Society on Alcoholism published in Science Daily, consuming highly caffeinated energy drinks is linked to an increased risk of driving under the influence of alcohol. The Research Society on Alcoholism reached this conclusion after following 1,000 college students’ energy drink and alcohol consumption patterns over a period of six years. The study’s participants included 550 females and 450 males who self-reported their energy drink, alcohol, and caffeine intake and drunk driving habits on an annual basis. 57 percent of study participants reported consuming energy drinks. 9 percent of participants drank energy drinks exclusively with alcohol. 32 percent of participants reported mixing alcohol and energy drink consumption on an occasional basis. Consistent with prior research, consuming energy drinks with alcohol is associated with increased alcohol intake and an increased prevalence of drunk driving. Even among those who did not combine energy drinks with alcohol, study participants who consumed energy drinks were also more likely to drive drunk. While further research is needed to explain the link between non-alcohol-related energy drink consumption and drunk driving, further research on the dangers of consuming energy drinks with alcohol is not. The stimulating effect of the caffeine in energy drinks counteracts the depressant effects of alcohol. This allows those who consume caffeine to consume more alcohol without feeling alcohol’s negative effects. However, caffeine does not intervene in the body’s absorption of alcohol. 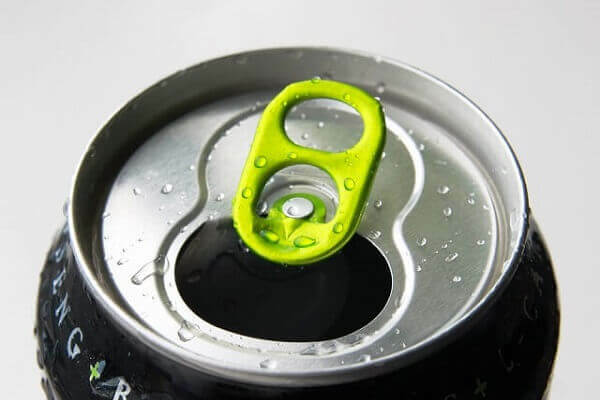 So, while those who consume energy drinks with caffeine will often “feel” less drunk, as they continue to drink more alcohol, their blood alcohol content (BAC) will continue to increase. This means that they are at increased risk for both (i) making bad, alcohol-impaired decisions, and (ii) putting themselves and others in danger when they get behind the wheel. With offices in Wausau, the attorneys at Crooks, Low & Connell, S.C. provide experienced legal representation for individuals facing DUI charges throughout central Wisconsin. If you have been arrested for drunk driving, it is critical that you discuss your case with an attorney. To schedule a confidential initial consultation, call us at (715) 842-2291 or contact us online today.